Although rumors have been cropping up for a while about Intel chip rebranding, the company has been relatively tight-lipped about its intentions - until now. Intel has officially gone on record and announced that the company will begin its rebranding efforts in its 2008 product branding roadmap to make the chip names more recognizable to consumers. 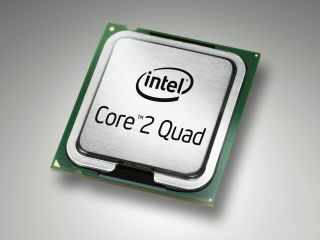 The renaming process will not touch Intel's Core 2 Quad/Duo/Solo, Pentium, and Celeron lines, which the company believes is easily identifiable to consumers. One of the processors that will be affected is Intel's Viiv and vPro lines, which will disappear and be renamed with the Viiv producting going under the name Core 2 Viiv and the vPro becoming Core 2 vPro. On its mobile processors, Intel's five Centrino brands will become two: Centrino and Centrino vPro. Finally, the high-end Itanium line of processors will not be known as Itanium 2, but will stay as simply, "Itanium." The rebranding is expected on the first of next year and will address customer feedback Intel had received asking the company to simplify its offerings. The company told ArsTechnica in an interview that it "undertook this effort to simplify choices for consumers and business, provide consistency and clarity for messaging, and create an efficient, less complex and sustainable brand roadmap." "This new brand strategy simplifies choices for consumers and businesses, provides consistency and clarity for messaging, and creates an efficient, less complex and more sustainable brand roadmap all while minimizing impact to customers." Intel's rebranding efforts will have no impact on product plans and the company will continue its release schedule.